Dear Visitors, welcome to aboutversilia.com! 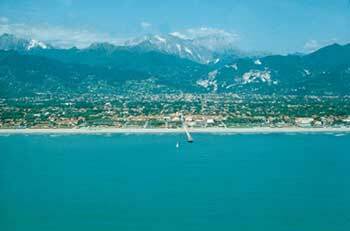 This is a website offering many useful information about the land of Versilia and its surroundings. Our purpose is to give you a historical, cultural and practical information, so you have a little more knowledge about this wonderful land. Start your tour through our virtual map, which allows you to display the various sights of Versilia in a simple click! On About Versilia we have selected the most important and interesting information about the various towns and villages which form and surround Versilia, so we have collected the main historical, artistic and natural features about the municipalities of Pietrasanta, Forte dei Marmi, Seravezza, Stazzema, Viareggio, Camaiore, Massarosa and the surrounding (but not less important) towns of Lucca, Pisa, Genoa, Massa, Carrara and Torre del Lago. Then we have explored the great natural beauties enriching all the area, both the coastline and the zone of high Versilia, not forgetting the important Versilia cultural heritage, constituted by the castles of Lunigiana valley and the variety of ancient churches and monuments situated in the different cities. We also added some helpful links like emergency addresses, transportation, internet points, wash and dry and much more, to make your permanence in this peaceful resort the most comfortable as possible. Again, if you want to enjoy your night here, we have added a page entirely dedicated to nightlife of the many nightclubs, pubs and discos displaced along the coastline. Don't miss to visit the New Great Open Air Theatre, the innovative theatre located inside the new Cultural Park in Torre del Lago, a big, green space created on the edge of Massaciuccoli lake, to celebrate Giacomo Puccini and his musical engagement. Moreover, if you would like to study Italian language and culture in Italy, we have selected some information about study abroad in Versilia with useful information about the most important schools in Pisa and Viareggio. The origin of its name dates from the "idronimo" Ves(s)idia (from the ancient Germanic language, Wesser/Wasser = water), from which during the High Middle Age, due to a philological process called "consonantal dissimilation", the form "Versilia" resulted. 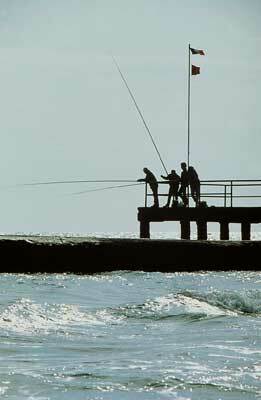 In particular, the region’s name depend to the canal Ruosina, which historically was the "fluvius" Vesidia and whose flow delineated in a perfect way the heart of Versilia.